AFRICA – Facebook is working closely with key non-profit and research partners to use artificial intelligence (AI) and big data to address large-scale social, health and infrastructure challenges in sub Saharan Africa. These efforts range from rural electrification in Tanzania to vaccinating people in remote corners of Malawi. Facebook is applying the processing muscle of its compute power, its extensive data science skills and its expertise in AI and machine learning to create the world’s most detailed and accurate maps of local populations. Facebook also partners with Columbia University’s Center for International Earth Science Information Network (CIESIN) to ensure that this effort leverages the best available administrative data for all countries involved. The Boston-based Facebook team uses advanced computer vision and machine learning to combine satellite imagery from Digital Globe with public census data and other sources to create detailed population density maps of Africa. 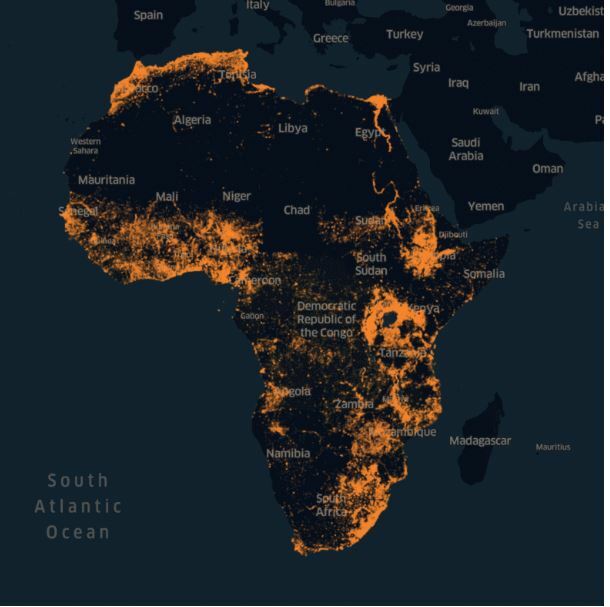 Using Facebook’s machine learning capabilities, Facebook started developing population density maps to provide better tools to support connectivity efforts around the world. No Facebook data has been or will be used in the project and the census and satellite data used contain no personally identifiable information.